The Baby Name Wizard has mapped baby name trends over time. If you want to know where and when a baby name was popular in the United States, just type in the name and explore the maps. 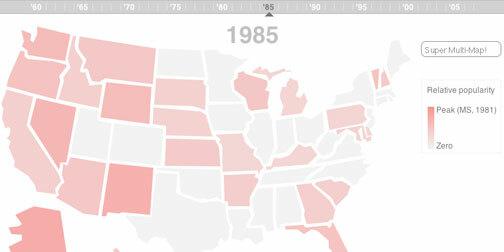 The maps are viewable by year, highlighting the peak year and the trends over time.